The release of the Chilcot Iraq Inquiry, examining the feeble reasons for launching a war against a sovereign state in 2003, did not merely land former British Prime Minister Tony Blair in the soup. It suggested that other leaders should keep him in drowning company. The most obvious culprit was the person who led it all, US President George W. Bush. 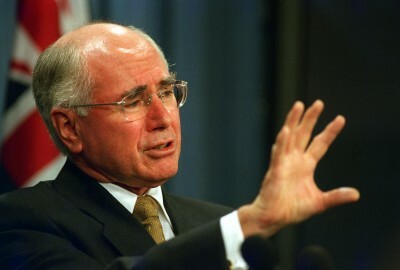 The other was former Australian Prime Minister John Howard. The 12 volumes and 2.6 million words do little to exonerate either. Evident in the apologetics over the Iraq War lie are notions of pure belief, detached from foundations of reason. There was no intention to deceive (this, being palpably untrue); there was a genuinely held sense that war was necessary. The show, in other words, was being run by fanatics. The evidence (is there such a thing post-Iraq? ), certainly after the attacks of September 11, 2001, was the overwhelming desire to rechart the Middle East and affect regime change in Iraq. Blair and Howard complied with the Bush agenda, neither ever keen to go too much into the detail. The few times that greater inquiry took place, it was grim, as Blair’s own meditation on possible consequences shows. “Suppose it got militarily tricky… suppose Iraq suffered unexpected civilian casualties… suppose the Arab Street finally erupted.” The law of unintended consequences indeed. Ever the Pilate washing his hands, Howard cherry picked from the Chilcot Inquiry to add a bit more soap to his cleansing wash. One fact stood out for him: the lack of evidence suggesting that intelligence dossiers had been doctored, or sexed-up, as it was then termed. For all that, there were Cassandras within Australia, and fellow traveller Britain, worried that too much certainty, spurred on by “belief”, was replacing genuine intelligence. One such figure was Andrew Wilkie, now a returned independent member of the Australian parliament. Having been an intelligence officer within the Office of National Assessments and subsequent whistleblower on the dubious intelligence practices he bore witness to, the Tasmanian MP insisted that Australia needed its own variant of Chilcot. They were more than that. Both became fellow buccaneers and adventurers, the very type of war makers scorned by the US Supreme Court justice Robert Jackson, a key figure in the prosecution at the Nuremberg war crimes trials in 1945. Never again, urged Jackson, should war be treated in a chivalric or romantic fashion. Instead, it could be deemed conspiratorially murderous, a slight against civilization itself waged by bandits. While the Chilcot Inquiry does not purport to generate legal implications (its greatest weakness), it sets the groundwork for potential legal proceedings that might be launched not merely in Britain, but participating countries. Lawyers representing former servicemen who died in the conflict are pouring over the details, wondering whether command responsibility can be discerned. Doing so in the International Criminal Court would be a difficult thing, given its limitations relative to the Nuremberg International Military Tribunal. But the crime against peace remains a burning issue, recognised as part of international law, and prosecutable locally. None of the leaders are out of the woods of judicial inquiry just yet.